On the 6th July 2012, after years of talking about it, planning and finally training I drove to the airport with my friend Donna to embark on a journey of a lifetime. I’ve had a dream to climb Kilimanjaro for many years. In fact it was one of the first few items to land up on my bucket list that I created many years ago. Sitting at number 7 on my list, it was a dream. I had no idea when I would do it or how I would do it but it was a dream nonetheless. I have come to learn over the years that how the dream would happen was unimportant and that just having the dream itself was what really mattered! 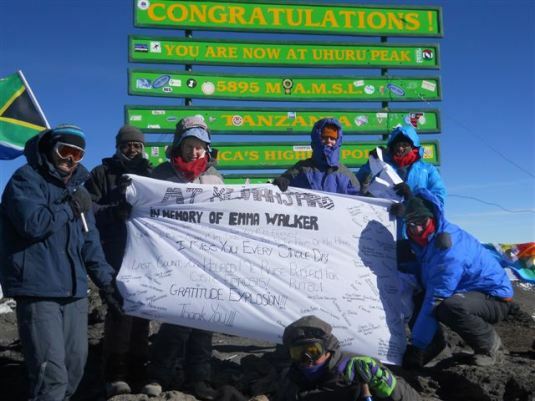 On the 8th July 2012 we set out for the slopes of Kilimanjaro. A team of hikers, we started out as strangers at first, we were to become friends who shared something so extraordinary that it would bond us for life. 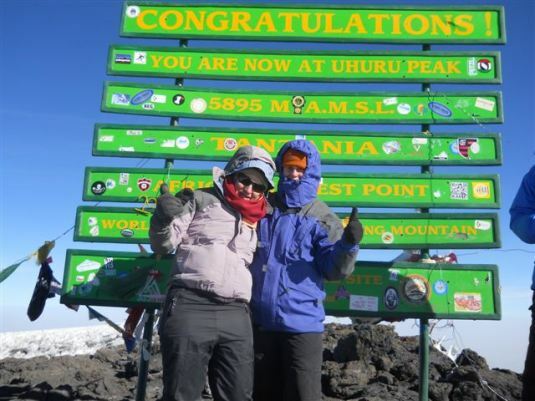 Donna and I on the summit of Kilimanjaro! Below are the links to the story of my journey in the run up to leaving for the mountain, taking my first footsteps on the the slopes of Kilimanjaro, the journey that unfolded in the days hiking to the summit and eventually the journey back down again. It chronicles how the climb came about, my inspiration behind the climb, the highs, the lows, the sheer agony and the absolute joys. Our amazing team on the summit! Although the journey is long over now, the memories are still so fresh in my mind. I hope you enjoy reading the journey as much as I enjoyed living this journey of a lifetime.